Fans tailgate prior to the NFL game between the Green Bay Packers and the San Diego Chargers at Lambeau Field on Oct. 18, 2015, in Green Bay, Wis.
WUWM's Ann-Elise Henzl digs into the history of tailgating in the state of Wisconsin and beyond. Tens of thousands of people in the United States enjoy tailgate parties before football and baseball games. In fact, the parties themselves have become an event, helping to draw people to stadiums, even when teams aren't having the greatest season. Over the years, some of those parties have gotten pretty big. And at places like Lambeau Field — known as one of the best tailgating stadiums — authorities have had to step in to maintain control. Five years ago, the grills, tables, chairs and games were taking up so much space that there were no lanes for emergency vehicles in the parking lot. So, officials began enforcing a rule, which requires tailgate parties to remain within 6 feet of a person's car. Officers even started walking through the parking lot with a tape measure to keep the parties in check. How, when and where did tailgating become the thing to do before football or baseball games? A number of Brewers fans we met at Miller Park during the recent playoffs were also stumped. Yet Craig, who lives near Antigo, did know where the term "tailgating" came from. 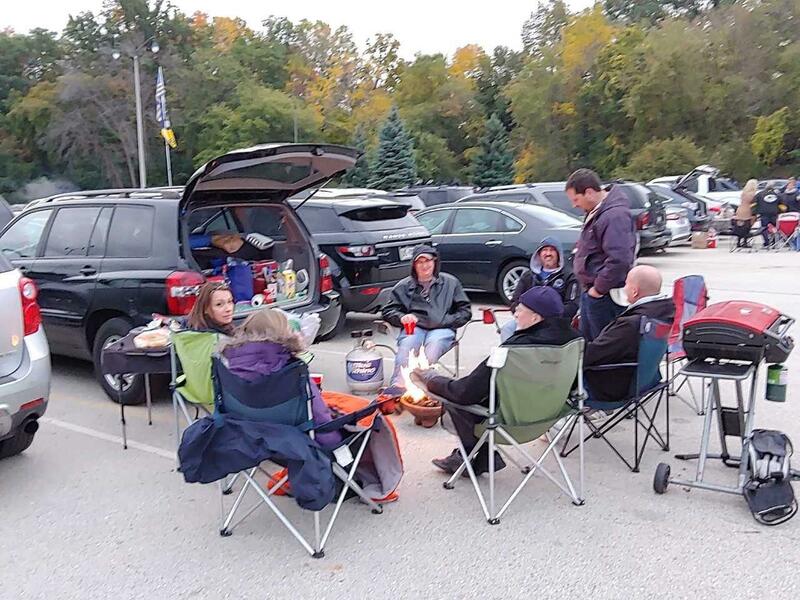 Milwaukee Brewers fans tailgate in the Miller Park parking lot ahead of a 2018 playoff game. "That's where you sat, is on a tailgate, before they made all these easy chairs that you can unfold and sit down on," Craig says while pointing to the rear door on a nearby pickup truck. Local baseball historian and author Bob Buege says tailgating only became a big deal in Milwaukee sometime after 1970, when the Brewers began playing here. Buege says back in the Milwaukee Braves era, from 1953 to 1965, "the idea of watching the game was what brought people to the stadium." Most fans going to see the Braves wouldn't consider hanging out in the parking lot, he adds. "It used to be very simple. You drive as close as you can get to the stadium, you pay your quarter for parking and you watch the game and you go home," Buege says. And, he says, if you wanted to eat something once you got into the stadium, you had limited options. "They had hot dogs and coffee and not a whole lot else." 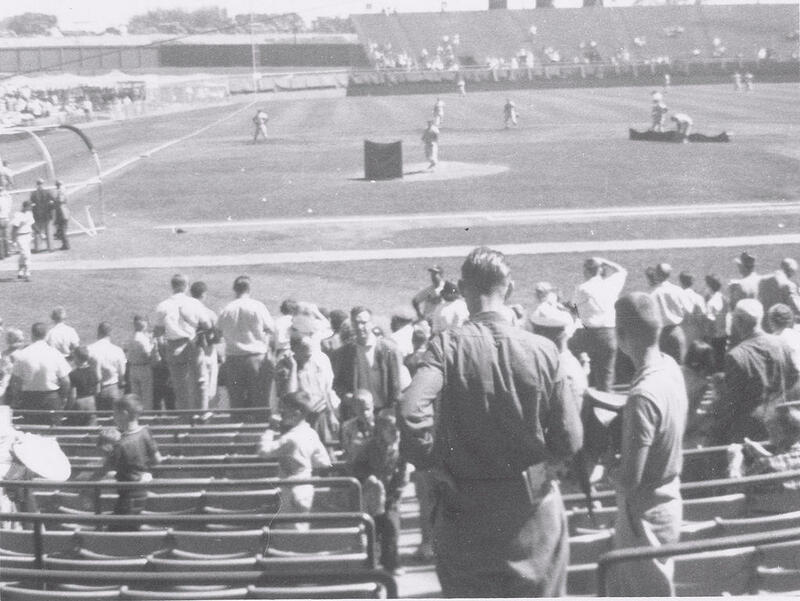 Before the Brewers, the Milwaukee Braves attracted the city's baseball fans. Shown here is a September 1960 Braves game at Milwaukee County Stadium. Buege adds, Braves fans from the '50s and '60s probably would be taken aback by the sometimes rowdy behavior at today's tailgate parties. He says there was a much more formal atmosphere during the Braves years. "All the gentlemen who attended the games wore suits and fedoras just like they would if they were going to church, and the women wore dresses and fancy hats," he says. Tailgating at Lambeau Field, meanwhile, goes back further in history — some say as far back as 1919 when the Packers were first organized as a team. But there's evidence that the practice of tailgating is even older than that. And when it began, it had nothing to do with athletic events. "It goes back probably to the Civil War, actually," says Tonya Williams Bradford, an assistant professor at the University of California-Irvine. She studies consumer rituals. Bradford and a colleague at Notre Dame researched both the origin of tailgating and the role it plays today. Tailgating likely dates back to the American Civil War, according to Tonya Williams Bradford, where people would find a spot near a skirmish, bring food and watch. 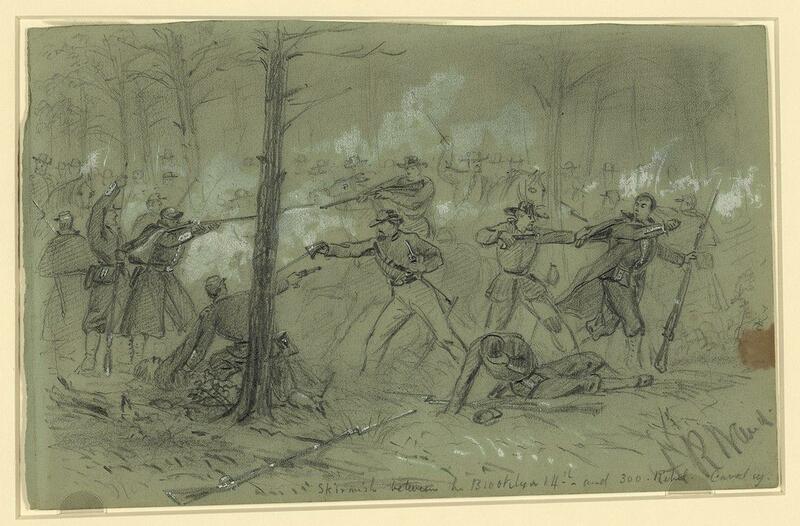 "We actually found instances in history where people were tailgating on the site of war. And they knew when the different skirmishes were going to happen, and they'd bring their picnic and they'd come and watch," Bradford says. Throughout the 1900s, tailgating before college games grew. Bradford says today, universities are home to some of the strongest tailgating traditions, as devoted alumni turn football games into big celebrations and roll out elaborate spreads. She says tailgating plays a role in the relationship fans have with the "brand," or the team they support. And for many, Bradford says brand loyalty extends to being a brand ambassador — sharing food and welcoming others to join the party. Tom from Antigo, whom we met at Miller Park during the playoffs, says the camaraderie of tailgate parties is a big part of the appeal. But he insists tailgating is better in Wisconsin than other states, especially because of the local beer and brats. "It's a lot of fun. You meet people from wherever you meet them from and everybody's friendly, whether you're from Milwaukee or great northern Wisconsin, it doesn't matter, even if you're from the opposing team, all have a good time," says Tom. For this week’s Bubbler Talk — our series where you ask, we investigate and together we unveil the answers — we look at church festivals in Milwaukee and why we love them. This all started with a question from curious community member Miguel Rivera. Pikosso, Chicken a la Koss, Rebel with a Koss. If you’re familiar with the iconic billboard for Koss Corporation along I-43 in Milwaukee, you may have seen one of these ads — or even have a favorite design or catchphrase of your own.